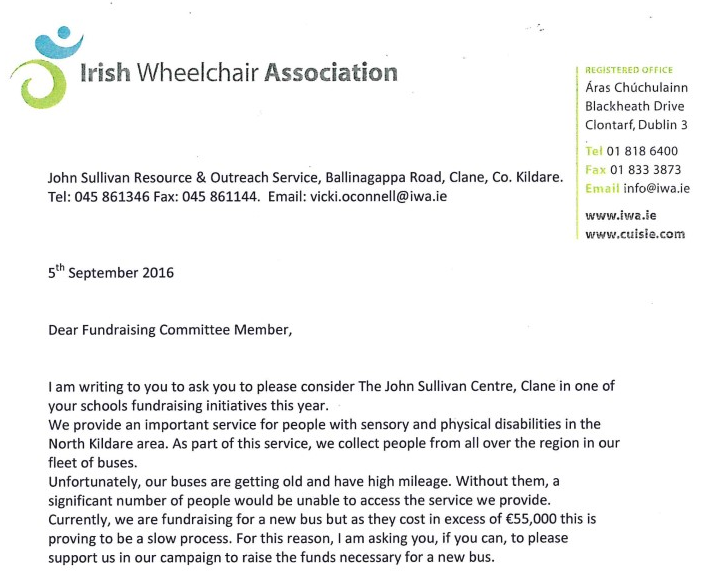 We raised €500 today for this year’s Christmas Charity – the Irish Wheelchair Association. Thanks to all who gave to this worthy cause. This year’s Christmas Charity in lieu of presents for teachers is the Irish Wheelchair Association. We will have a non-uniform/Christmas Jumper Day on Thursday. €2 per child or €5 per family. Please support. School closes at 12.30 on Thursday 22nd December. School buses will be travelling at this time. Please ensure children collected by car are collected promptly at this time. On behalf of the Board of Management and staff of Scoil Chéile Chríost Rathmore N.S., I wish you all a peaceful Christmas and a happy healthy New Year. School reopens on Monday 9th January 2017. On Wednesday the 19th of December Robbie and Katie from the Irish Wheelchair Association came in and did wheelchair based activities and games with Ms Shaw’s third class. The children played a variety of inclusive games throughout the session. The children played bocce, curling and relay races to name but a few. They were smiling throughout and they all had so much fun. They got to experience what it is like for a wheelchair user by taking it in turns to sit in a wheel chair and play different throwing and catching activities. Robbie brought nine wheelchairs with him to give the children an opportunity to take part in the different games. It was great to see so much inclusivity and all the children got really involved. Emily thoroughly enjoyed the experience and she appreciated being able to show her class mates what P.E and every-day life is like for her in a wheelchair.